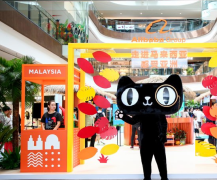 Alibaba Group has launched “Malaysia Week” to boost opportunities for Malaysian SMEs in China, kicking off the online campaign with special promotions on thousands of “must-buy”, “must-eat”, and “must-experience” Malaysian products across Alibaba’s platforms until 12 July. 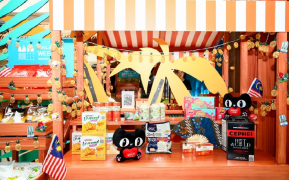 More than 50 Malaysian brands are participating in the campaign, and are being featured on Tmall during the week-long promotion. Meanwhile over 30 Malaysian tourism merchants will host special offers on the Alitrip platform for local travel products and services in Malaysia, including tour and hotel packages, local attractions and events, as well as shopping and dining vouchers. Chinese travellers can also access to these special promotions. The campaign combines online and offline activities specifically designed to promote and increase opportunities for Malaysian businesses to reach Chinese consumers. Chinese consumers are also able to catch a glimpse of Malaysia through a offline pop-up exhibition in Hangzhou, “Malaysia food festival”, and a series of Malaysia-related displays, activities and performances. The ‘Malaysia Week’ Offline Pop up Exhibition at the Kerry Centre, an upscale shopping centre located in the heart of Hangzhou, promoting local Malaysian brands such as Aik Cheong coffee, Julie’s and Boh Tea, among others from 6 to 8 July 2018. The ‘Malaysia Week’ Offline Pop up Exhibition at the Kerry Centre. “Malaysia week marks our commitment to continue to showcase the best of Malaysia’s fresh, high-quality products and must-visit tourism attractions to Chinese consumers.” Jet Jing, president of Tmall, said. Alibaba also aims to attract Chinese consumers to buy all things Malaysia, its first eWTP hub outside of China, through its online marketplaces, as they see the growing demand for high quality foreign products. The campaign is organised by the Alibaba Group in cooperation with Malaysian agencies such as the Malaysian Digital Economic Corporation (MDEC), Ministry of International Trade and Industry (MITI), MATRADE, SME Corp, Malaysia Investment Development Authority (MIDA), Tourism Malaysia (TM) in both Malaysia and China and Malaysia Inbound Tourism Association (MITA) to deepen Chinese consumers’ understanding of Malaysian products and services, and to boost cross border trade opportunities for Malaysian SMEs with China. As part of the Malaysia Week initiative, Alibaba.com hosted a business matching network event that connected 17 Malaysian merchants with over 100 Chinese buyers in Hangzhou today. “As the world’s largest B2B one-stop service platform, Alibaba.com not only has helped connect Malaysian SMEs with global opportunities and drive their business growth, it also is a leader in providing training to ensure Malaysia has a pool of local e-commerce talent to develop the country’s digital economy. As a key component of the eWTP initiative, we will continue to strive to work towards lowering trade barriers for SMEs in Malaysia and beyond,” said Kuo Zhang, general manager of Alibaba.com. Alibaba.com is also hosting a special promotion for its Malaysian global gold suppliers called ‘July on Demand’, from 2 July to 29 July 2018. More than 275 local merchants and over 1,000 Malaysian products are being promoted in over 200 countries and regions across the world, in an effort to enable local SMEs to grow their business and expand their exports globally. Beach House Pictures and StarHub has launched Singapore debut of ZooMoo on StarHub TV, Asia’s first kids channel fully dedicated t..
Unilever has appointed Arcade to handle digital, social media and activation campaigns for its Fruttare ice popsicle range in the ..